When Ann and Meg began looking for a new location in the prestigious Buckhead market, they were presented with a number of opportunities, but ultimately chose space in Regency’s newly renovated Buckhead Court. 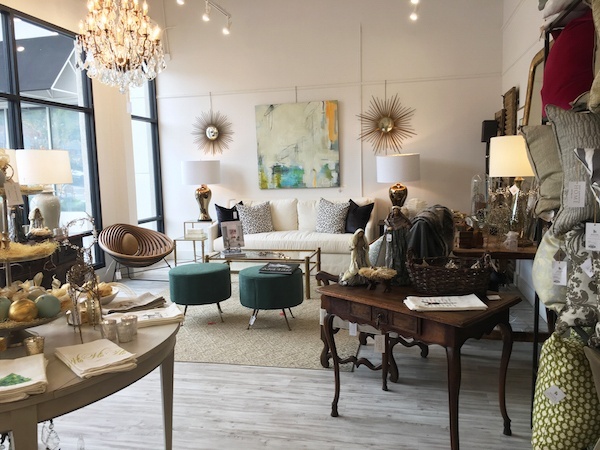 The pair were thrilled that Regency was willing to involve them in the renovation planning, and that we partnered with them to help them achieve their ideal look and feel for the storefront and other aspects of their buildout. 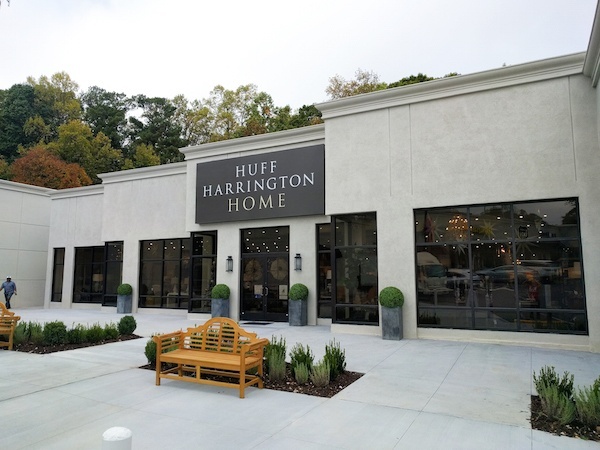 Keep up with Huff Harrington here. ‘All in the details,’ is a slogan proudly displayed across Super Chix's staff member’s t-shirts. The fast-casual chicken joint boasts using the freshest ingredients. From the design and décor, quality food offerings, to Super Chix's welcoming employees, it was about the details. 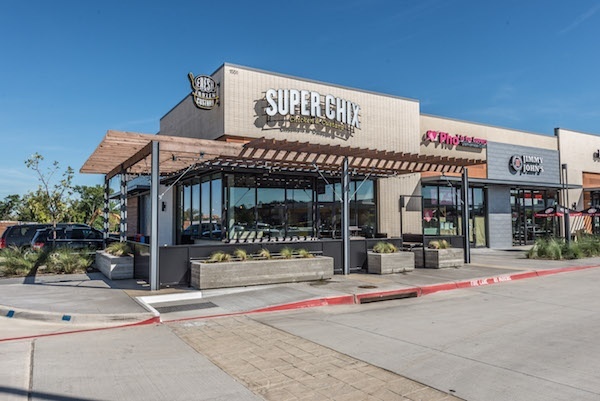 In August, Super Chix opened its second location in Dallas-Fort Worth at Regency Centers CityLine Market, marking its first since the buyout from Yum! Brands. The 2,500 SF space has a contemporary feel, designed in grays, whites and hints of canary yellow. Visit our extended blog where we explore the details that make this fast-casual restaurant truly super. 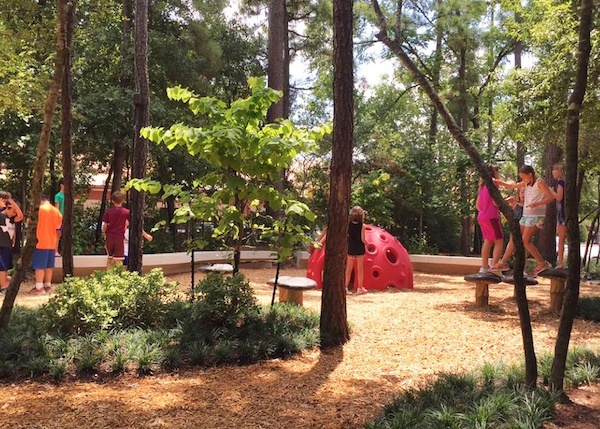 The Woodlands, Texas’ Panther Creek Village recently transformed an underwhelming space into a robust gathering area for guests. Over the years, a lack of seating combined with increased foot traffic at a spot adjacent to Crust Pizza drew Regency’s Property Management team’s attention. They noticed uprooted shrubs that posed a safety risk. As it had become a popular kid zone, Regency proposed to revive it by incorporating children’s activities into a large open area with new park benches and luscious landscaping. Working with The Woodlands Township, the project was completed before summer. 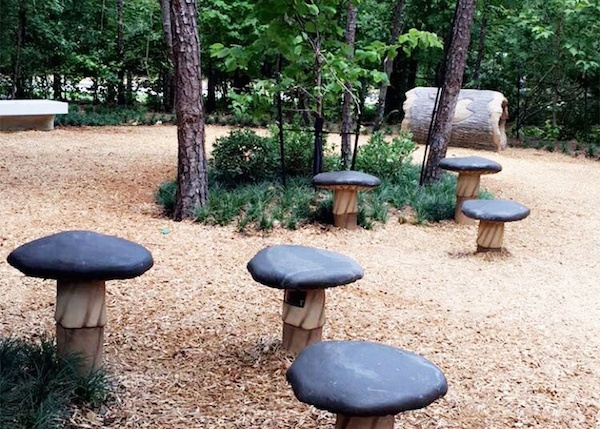 The equipment used in the play area includes mushroom-themed steps, a log tunnel and large climbing dome. The team also installed tree lights and park benches that illuminate at dusk. In the last year, several popular eateries have opened and the renovated area has become a communal gathering area for guests waiting to be seated. Many of the center's retailers also use the area during lunchtime breaks. 2016 has been a monumental year for Encina Grande in Walnut Creek, California. The redevelopment, which began in spring 2015, has been a significant visual, spacial, and tenant redesign. 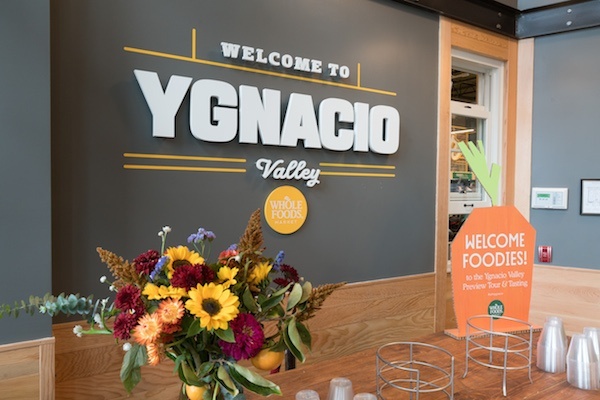 A large part of that redesign was filling the 37,500-square-foot empty anchor space with one of the best specialty grocery operators in the country. 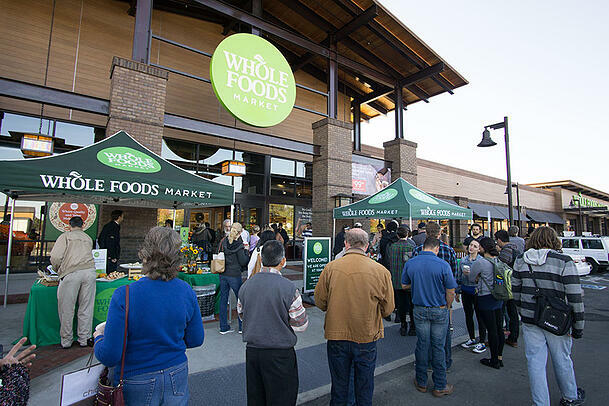 On November 2, Whole Foods Market eagerly opened its doors to the Ygnacio Valley communities. 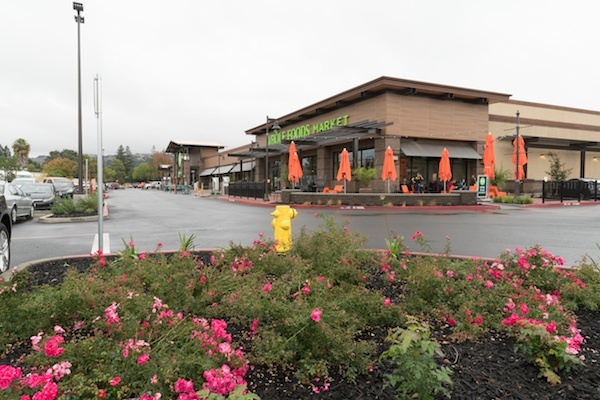 Regency’s Walnut Creek team successfully balanced a myriad of different aspects related to the center, and its upgrades. Our team handled everything from valet parking and a five-phase redevelopment plan to an array of community relations. Recently, Encina Grande was awarded a 2016 Community Award for Distinguished Contribution to Beauty of Environment in the ‘Large Commercial Renovation’ category. This accolade, awarded by the Walnut Creek Action for Beauty Council, is a testament to the hard work and planning that often goes unseen by the public. 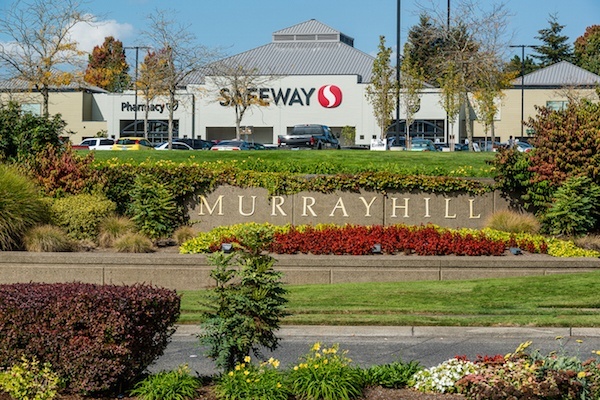 Murrayhill Marketplace has been a part of the Beaverton, Oregon community since 1988. The 148,967 SF center is anchored by Safeway and Planet Fitness and includes more than 44,500 SF of tri-level office space. In 2015, enhancements to the shopping center’s visibility commenced, which included aesthetic upgrades that would appeal to its customers and attract new merchants. Once construction was complete, Regency held a grand reopening celebration event to express its appreciation to the community and Murrayhill Marketplace merchants throughout the construction phase. The event was also a way to reintroduce the center to the neighborhood while showcasing its redesigned features. Murrayhill Marketplace is an example of Placemaking and Connecting. Visit our blog for the full story.